There is an old saying in Chinese, “People doubly miss their families in festivals.” My sisters and I recently joked that we feel doubly sad during festivals. September 30th marked the lunar Mid-Autumn (or, Moon) Festival in China. When we lived there, it was so regular for us to have an abundant meal with our parents. This year, my sisters and I missed all the traditional celebrations, and stayed at home reluctantly. My parents went to their usual jobs at Chinese restaurants – where it was busier than usual because of the holiday. Before my mom went to work, she asked us to make some soup and cook some seafood. And that’s how we spent our festival day. That’s very different from how we celebrated the festival back in China. 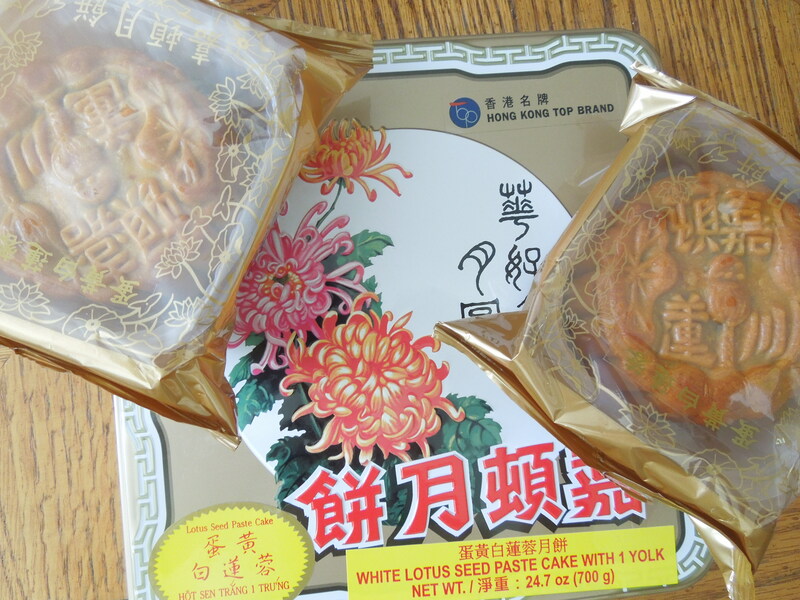 We looked forward to it every year – spending time with family, great meals, and of course the moon cake. 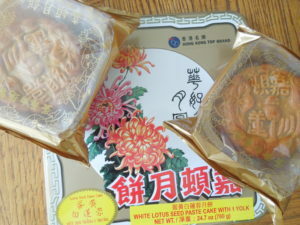 The most common kind of moon cake is thick, round, sweet and with lotus seed paste and salted egg yolk inside. It is round like the Moon, and it symbolizes family reunion. We also celebrate it with grapefruits, grapes, durian, mangosteen, and other fruits.We have many of those same treats here, but they mean nothing special when we do not even have a chance to appreciate the full Moon or eat them with our family members together. Since we came to the US, my family hasn’t been able to celebrate the traditional Chinese festivals anymore. My parents work a lot, and they only get one day off a week. It is rare for all of us to even have a meal together. Finding time to truly celebrate seems impossible. It seems that my parents do not get any days off for either Chinese or American festivals. I joked with my sisters that the Chinese bosses will not let any chances of earning money go, especially restaurant owners. I see all of this as part of a new life we’ve all got to get used to in America. We are starting from scratch, which means we can have nothing before we can really settle down in a place which we do not originally belong. I have begun to understand why a lot of American-born Chinese people do not feel connected to their Chinese ethnicity. If their families are like mine – working a lot, with no time to practice their Chinese traditions at home – then the culture might not get passed on to the next generations. Besides, traditional festivals mean nothing to us if our parents are not able to celebrate them with us. We worry that, after staying here for a long time, we will lose family values. My family believes strongly in helping one another, and in staying together, not moving away from one another as many Americans do as soon as they get the chance. We see many other Chinese families changing like this, and my sisters and I worry that we might become detached when, for example, we see others in need. But the changes are coming. They are already here, actually. When we look at our smiles in old pictures, we notice that we already cannot laugh as happily as we used to. While my friends in China sent me happy Mid-Autumn Festival wishes, many of my Chinese friends here seemed as bored as me on such a special day. Even with pieces of our culture here in Oakland, it’s different because the environment is different. And now, already, so are we.